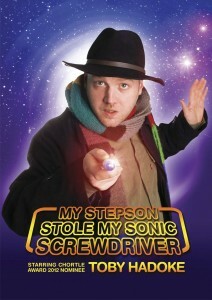 This is yet another show about Doctor Who fandom that also appeals to a wide audience by justifying the devotion and explaining the impact on the fan’s relationship with others. In doing so, Toby presents plentiful Who facts and opinions to delight/ignite the fans (his demonstrations of uber-devotion puts many others to shame) while progressing the story without getting sidetracked too much from the main story. He even throws in plenty of political and pop-culture references to prove that he isn’t a complete basement dweller. On stage Toby comes across as eccentric enough to be individualistic but not so weird as to be a pitiful loner. He is wonderfully animated as he presents his views of the Who Universe, bouncing around the stage like an excited puppy, that it’s impossible not to get caught up in his enthusiasm. Even when not geeking out he tells his tale with genuine passion that sells the material perfectly. He makes use of enough gentle self-deprecation to portray himself as flawed without being a sad sack. The staging of this show includes some visual elements via a video screen that go beyond merely illustrating points to the uninitiated by creating an amusing autobiographical photo album. The addition of some amusing captions provided some wonderful jokes on the peripheral that linked in to the main thread. 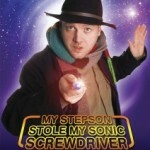 Also on the AV front is a special audio treat by a revered figure in the Who Universe that will delight. This is a brilliant hour in the company of a great storyteller that will delight all. It is sure to encourage you to go home and give your dad a big hug. Toby Hadoke is on at the Gilded Balloon Teviot.